1. 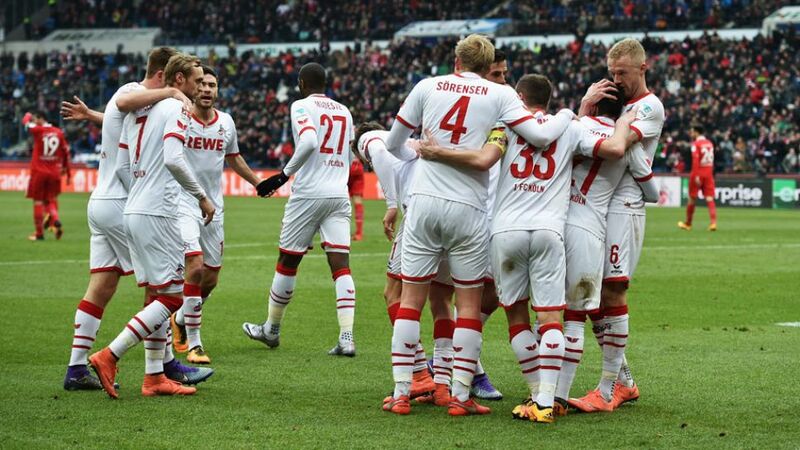 FC Köln have enjoyed a good season thus far, with eight wins and nine draws leaving them ninth in the standings. But how are things shaping up heading into the final stretch and how good are each side's chances of reaching their targets? bundesliga.com puts 1. FC Köln under the spotlight. Köln can certainly be satisfied with the season so far. They are ninth over the international break, and have only spent one Matchday this term outside of the top half of the table.However, Peter Stöger's side have won only one of their previous five games, with one draw and three defeats.Köln have only celebrated two wins in 2016. In the Rückrunde table Die Geißböcke are 16th, in the promotion/relegation play-off spot. Köln are nine points behind Bayer 04 Leverkusen who occupy the final European qualification place, and though a return to Europe for the first time since 1997 remains a mathematical possibility, they need other results to go their way.That said, Die Geißböcke also need to be careful. Their position of ninth belies the fact that they are only six points better off than 17th-placed Eintracht Frankfurt.Stöger's men also face a tricky run-in, with three of their last seven opponents - Leverkusen, 1. FSV Mainz 05 and Borussia Dortmund - in the top seven. The other matches - against TSG 1899 Hoffenheim, SV Darmstadt 98, FC Augsburg and SV Werder Bremen - are against sides in real danger of the drop.